Have you fallen ill during a package holiday in Mexico? If your holiday took place within the past 3 years, you may be able to make a successful holiday illness claim with the help of the solicitors at Holiday Illness Claims. With over 50 years combined experience in travel law, our dedicated Mexico holiday illness claim solicitors are on hand to help you receive the maximum compensation you deserve. To find out if you can make a claim, call us now on 0800 01 54321. Could you make a claim for a holiday illness in Mexico? Under the Package Travel Regulations 1992, you can bring a claim against your tour operator for an illness caused by poor food or hygiene within a package holiday hotel. Despite this, many holidaymakers are only offered a small amount of compensation or even vouchers when attempting to deal directly with their tour operator. By speaking to Holiday Illness Claims, you can have one of UKs leading holiday claims teams on your side, helping you receive the compensation you deserve with as little hassle as possible. At Holiday Illness Claims, we have already helped people across the UK receive thousands of pounds in compensation after outbreaks of illness in Mexico. Last year, we helped the Blakeway family from Cheshire receive £12,300 after outbreaks of sickness and an accident ruined wedding celebrations at the Gran Caribe Real Resort & Spa in Cancun Mexico. 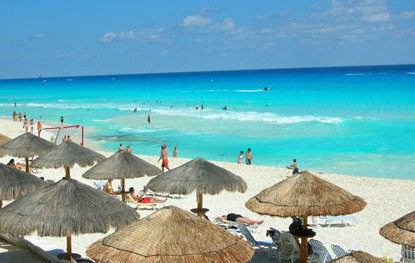 Find out if your chosen resort is on the list of latest Mexico holiday illness outbreaks. Why choose Holiday Illness Claims? At Holiday Illness Claims, we represent all clients on a no win, no fee basis. This means that in the unlikely event that your claim is unsuccessful, you wont have to pay a penny to anyone. We understand just how distressing a holiday illness can be, thats why we always aim to make the claim process as hassle free as possible. Well deal directly with your tour operator on your behalf, from writing the initial letter of claim right through to negotiating a settlement on your behalf. To speak directly to one of our expert Mexico holiday illness solicitors and find out how much your claim may be worth, contact Holiday Illness Claims today. Call us on 0800 01 54321, or simply click the button below to complete our online contact form and arrange a quick call-back.